ROAD TOWN, Tortola, VI – This year's honouree for Festival 2015 Mrs Patsy C. Lake has called on the government of the Virgin Islands to give Premier Dr The Honourable D. Orlando Smith his "flowers" while he is around to appreciate them by naming the new Peebles Hospital after him. 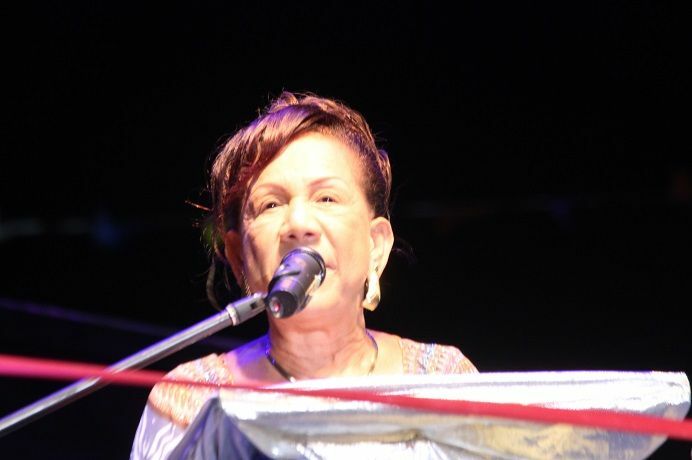 Similarly, she called on Honourable Ralph T. O'Neal OBE to be honoured and implored on Government to get Mrs Eileene L. Parsons, Dr Charles H. Wheatley and Dr Quincy F. V. Lettsome to find a fitting honour to this gentleman who has given so much of his life to this country. 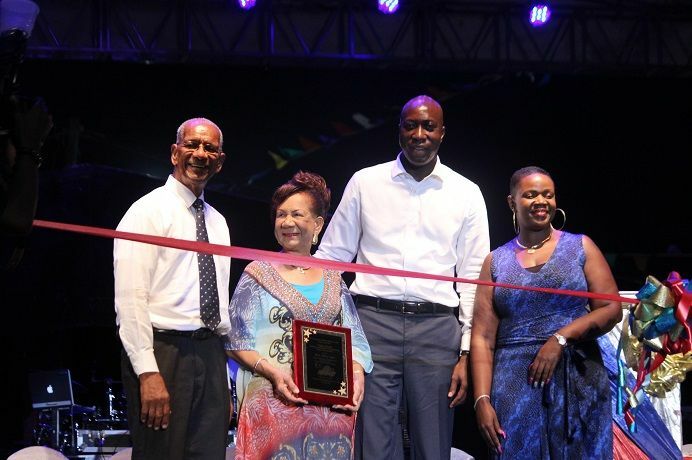 Mrs Lake was speaking last night July 27, 2015 during the official opening of the 2015 Festiville named in her honour for her immeasurable contributions to Emancipation Festival over the years. "Some might say that the recognition that I am getting is too late. But I will respond by saying that I thank the government and the people of this country by giving me my flowers while I am alive so I can enjoy them," Mrs Lake said. "In this country we don't really recognise persons that have contributed and tonight I am grateful for this recognition," she said. Dr D. Orlando Smith Hospital? Then she made a case for the renaming of the Peebles Hospital in honour of Dr The Honourable D. Orlando Smith whom she said has served at the institution for many years. 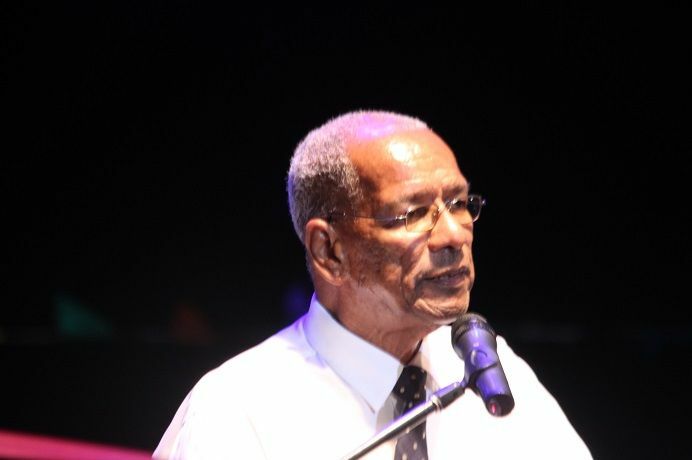 "I am calling on Minister of Health and Social Development Honourable Ronnie W. Skelton to remove the name of Mr Peebles from the Hospital. We have given him a lot of honour and we need to honour our own...Dr D. Orlando Smith and call that hospital Dr D. Orlando Smith Hospital. ..give him his flowers while he is alive," she said. She noted that Dr Smith has spent all his life at that hospital and he needs to know that the people of the territory truly appreciate him. "We could then give Major Peebles a wing...there are lots of wings in that hospital," she said, noting that everyone who contributed in a meaningful way to the construction of the hospital should be recognised by a wing being named after them. At this point in time "jokers" might as well leave as is. I get where you're coming from but it's already had a name change since BVI High days and to now change again there's no point. Dr. Smith now reach....let him wait his turn. Strupes. Many hands have shaped this hospital, but none as magical as Hon. Ronnie Skelton, hence I will say name a wing or the whole hospital in his honour. she is just paying him back for allowing her to build her illegal buildings. Patsy needs to go sit down. This is clear as crystal, she wants the Doctor to repeat what Uncle did just before he was voted out of office. Enquiring minds want to know what her 'immeasurable contributions' were to festival over the years. Did she volunteer her time and her talent for free? Or were they discounted? Yes, I think as the public it's high time we know who the potential nominees are and what their genuine contributions have been and then we decide. Not left up to 2-5 persons to spring it on us. What is the criteria for getting the Village named after you? Friends swaying others? Patsy u meh me Sick with shame! Let Smith go sit his are down! It would be very disrespectful to name it after Dr. Smith, It was already named after a great man Mr. Van Peebles. Leave it be. Stop blowing gas patsy. Many doctors have shaped that hospital and health care.this is the worst era in our health care. The doctors who have given their lifeblood to the institution names are forgotten. Take the politics out. That is all you are playing. How come the high school was not named after Charles Wheatly. Stop the politics and do what is right. Dr. Smith time will come . Do not try to try to fool people. Virginislanders all know the facts. Hell to the no!! Is this woman for real...If Patsy knows any better she would know how the hospital got it's name which is from the man who started it himself, Major Peebles & it should rightfully stay as it. I recall growing up hearing my grandmother speak of it and how it was first named Cottage Hospital and then later renamed in Peebles' honor since he founded it. Where was Smith and any other person who they itching to name it off of, nowhere in existence. If they name a section of it in his honor well I could say patience and respect that but not renaming the whole thing, absolutely not. There was an article posted sometime back on the history of how Peebles hospital got its name, Patsy and all the otr loons need to dig it out & have a read from talking piss. Mrs Lake needs to stop and learn to think before she speaks. There is no need to rename the hospital. It is so sad how so many people care about accolades. What we need to be worrying about is that our name is written in the Lamb's Book Of Life. Cottage Hospital was founded in 1922 by Major Peebles. In the 1950s it was renamed after him. During the 1990s it was briefly named the H.R.Penn hospital before it was reverted back to Peebles. The hospital needs to keep its name as is. It is a very important part of our history. We must realize that when it is our time to shine, Jevovah will see to it. Stop being a set of hungry people for position of power and fame because it comes at a price. Some of you know what am speaking of.